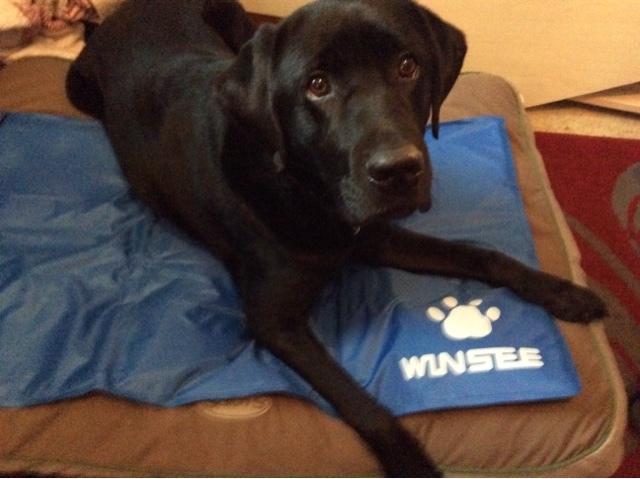 KEEP YOUR PET COOL: WINSEE cooling Gel mat uses advanced cooling technology, helping your pets relief heat and letting him feel greatly cool in hot Summer. 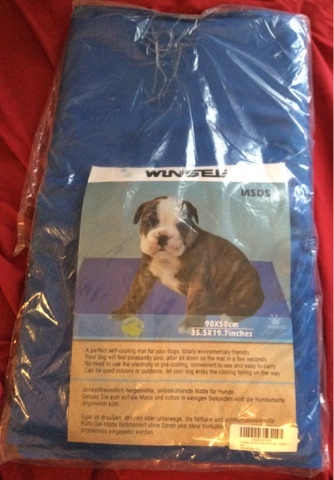 GREAT FOR THOSE HOT SUMMER DAYS:The mat filled with non-toxic gel which is typically cooler than room temperatures, perfect for large breeds and thick-furred dog your honey dog. HIGHT QUALITY: Adopt durable material, suitable for indoor or outdoor use. No need for refrigeration or electricity. I got this for my black Labrador who has struggled with the heat this summer - unfortunately he refused to use it! I got him to lay on it for a photo but since then he's not gone near, he even got upset because it was on his bed so I had to move it. I think it was the shiny, slippery material he didn't like, as he's quite fussy about what textures he likes. Silly boy doesn't know what's good for him! My beagle also refused to use it as she was scared of the rustling noises her claws made on it (she's an ex puppy farm rescue dog and is very nervous of new things). My dogs might not be impressed with it, but I was. As soon as I took it out of the packaging I could feel how cooling it was. It felt wonderful on my overheated skin, so I'm surprised that the dogs didn't like it. The mat felt well constructed, with solid seams and good quality material. The mat is very heavy, much heavier than I expected it to be. This means that it should stay in place well, and shouldn't scrunch up when your pet lays on it. 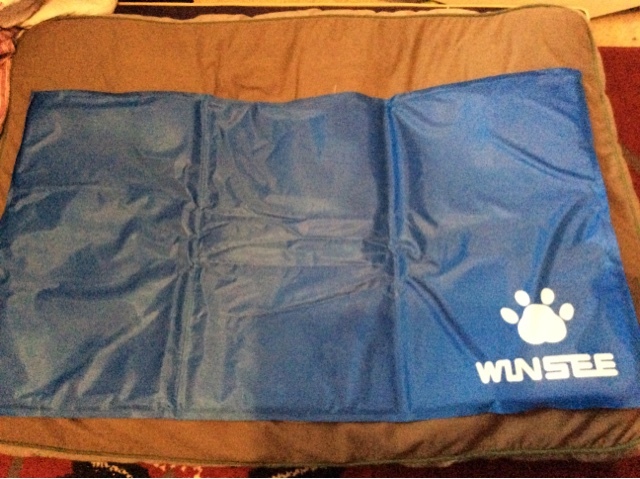 I was disappointed that my dogs didn't use this cooling mat, but I can't really fault the mat for that, I just have fussy dogs! It's a shame as I think it could have helped them keep cool this summer.